A man in Paris thought it would be interesting to see what Jews in France go through just for being Jews in France. He dressed like a Jew wearing a yarmulke and walked around for 10 hours in the city as a friend took video of him. What happened to him was sad and shocking. A fellow named Zvika Klein created this experiment to prove the hate and racism Europe visits upon Jews. This is the 1920s and 30s all over again. 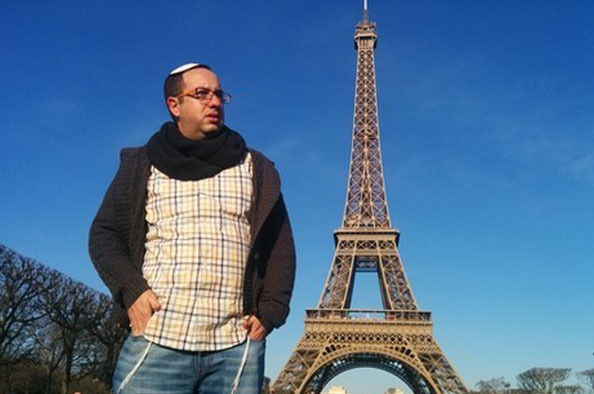 PARIS – “Go f*** from the front and the back,” “Viva Palestine,” “Hey you, with the kippa, what are you doing here?” these were only a few of the remarks sent my way as I was walking through the streets of Paris wearing a tzitzit and a kippa. …Is this what life is like for Paris’ Jews? Is this what a Jew goes through, day in and day out, while walking to work or using public transportation? The majority of French Jews do not flaunt their religion, as the Jewish community leaders have urged them to wear hats as they walk to and from work, or go bareheaded. But what about nighttime? Well, Jews prefers to stay inside in the evening. It is safer at home.